See how we are recycling and celebrating May Day at the same time at our house. 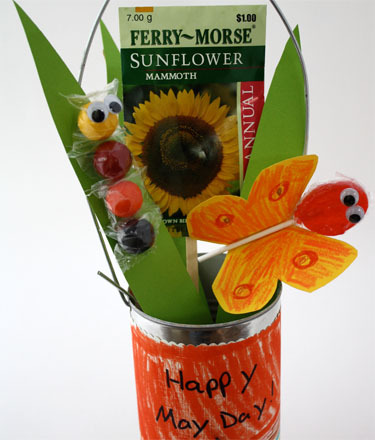 Skip on over to AlphaMom for a May Day Basket Tutorial. This is adorable! I love the candy bugs! Wow! Love it! Just the cutest May Day basket ever . . . and so easy for little ones to make! I love it! I think my son and I will be making this tomorrow!